Businesses and homeowners throughout Northeast Saskatchewan trust Carson Electric Services Ltd because of our quick response, competitive prices and excellent results. We aim to provide top-level customer service, and follow up with clients to ensure that our work has met all of their standards. Going above and beyond is all in the line of duty for us. We will perform a thorough analysis of your electrical issues and implement the best practice to ensure your problem gets solved. 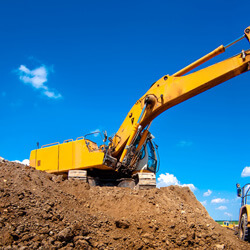 We offer trenching services for inspection of underground services for your farm, home or even your cottage. If you need service or maintenance for parking lot lights, signage or simply cannot reach that yard light, we offer services up to 30 feet. Prompt, personal attention for all your electrical service needs with trained and licensed technicians available around the clock. 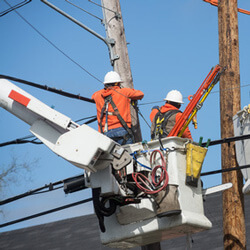 Our 24 hour emergency electrical service team offers years of experience and a commitment to delivering solutions that meet and exceed our customers’ expectations for time and budget. Safety and energy efficiency are important to the longevity of your property. 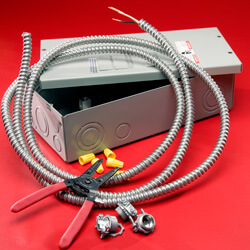 Our team will see that your design and wiring projects meet industry standards.